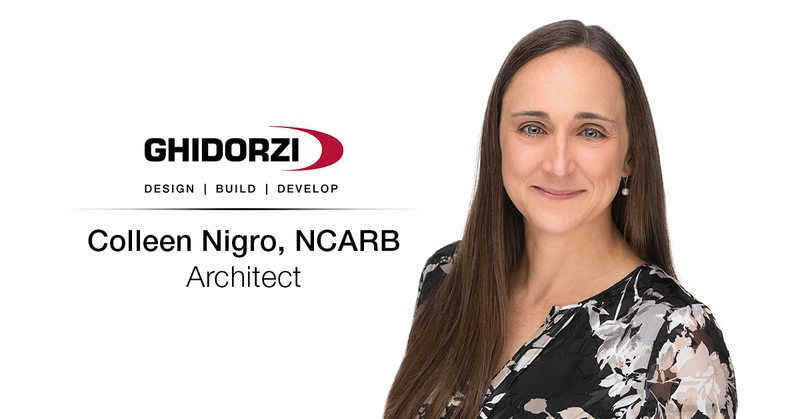 We are proud to announce the expansion of our Ghidorzi design build construction team with the addition of Colleen Nigro, our new Architect. Colleen is a licensed Architect with 11 years of experience leading diverse projects in many industries, including healthcare, commercial, industrial, education and retail. Most recently, she served as Project Manager for Fitzgerald Architecture Planning Design in Chicago. Colleen is most excited about joining a local team that brings client visions to reality. A favorite aspect of her role is transforming 2D sketches into 3D buildings through a creative and technical design process. Colleen earned both her Bachelor’s and Master’s degree from Tulane University – School of Architecture in New Orleans where she was the recipient of the Distinguished Scholars Award. Colleen is certified by the National Council of Architectural Registration Boards (NCARB). Outside of work, she enjoys traveling, visiting family and chasing after her three young sons.